Item # 312481 Stash Points: 2,195 (?) This is the number of points you get in The Zumiez Stash for purchasing this item. Stash points are redeemable for exclusive rewards only available to Zumiez Stash members. To redeem your points check out the rewards catalog on thestash.zumiez.com. Spice up your room decor with the Heartbreakers Dirty P Lover black banner from Primitive. 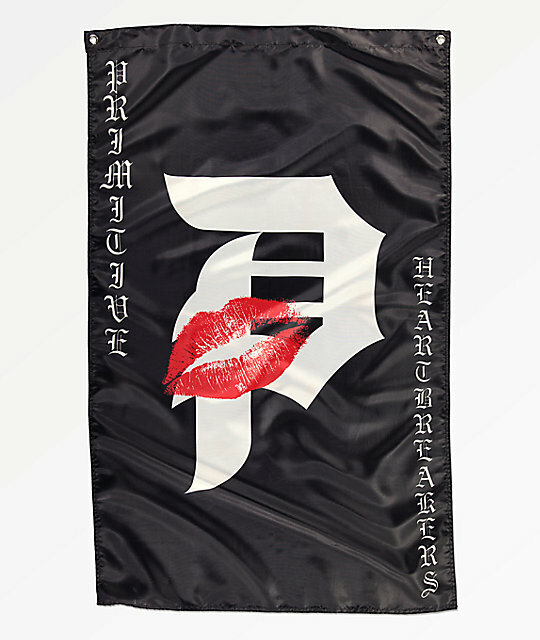 This flag displays a large white Dirty P logo in the center with a pair of red lips smooched across the P. The words "Primitive Heartbreakers" are printed on opposite sides of the banner in an Old English writing-style. Become part of the Heartbreakers club with the Dirty P Lover banner. Primitive Heartbreakers Dirty P Lover Black Banner. 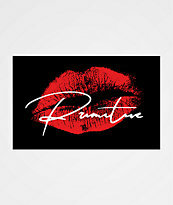 Image of Dirty P logo with red lips and accompanying Primitive text logo detailing. 30" x 46" |93 x 60 cm approx.